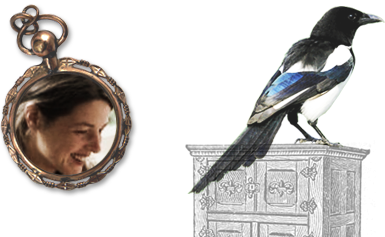 The Magpie and the Wardrobe is owned and created by artist Sam McKechnie. It is a small business with a private studio which can be viewed strictly by appointment only. Sam produces two fashion seasons yearly that are sold through her Stockists. This shop offers a small and complimentary selection but stockists will usually have more choice. Sam Mckechnie also exhibits her assemblage boxes and art and also makes unique chandeliers sold through Designers Guild and through commission. Everything that Sam makes is unique and rarely repeated so no item is the same. All photographs of jewels are just examples so if you love a specific charm or bead, contact Sam directly when ordering to see if they are available. All commissions are considered and she also offers a bespoke service.